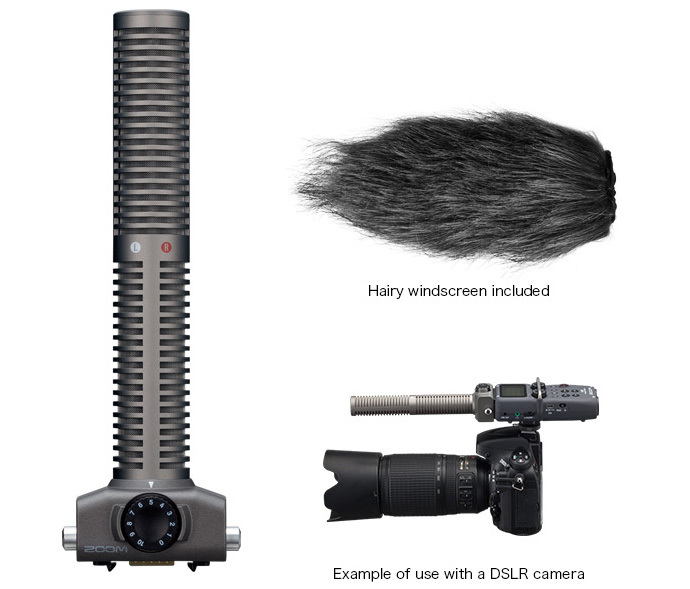 The SSH-6 is a mid-side stereo shotgun mic capsule for ZOOM H5 and H6 recorders. 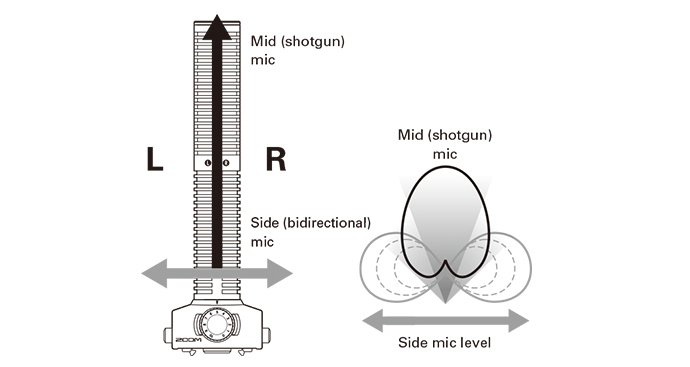 Along with a super-directional shotgun mic for capturing sound in the center, it has a bidirectional side mic for capturing sounds from the left and right. You can change the stereo width as you like by adjusting the side mic level in the same way as with the MSH-6 mid-side stereo mic capsule. If you use the RAW mode setting, you can adjust the stereo width after recording. You can use this feature to capture a specific sound source with the shotgun mic, and then mix in the environmental sound captured by the side mic later. For example, when used to record audio for movies, video or news, the voice of an actor or reporter can be clearly captured. Then, environmental sounds can be mixed in during post-production to add a sense of being in the place. On the other hand, if the sound of the environment is noisy, you can lower the side mic level to make spoken lines and narration easier to hear. Even when retaking is not an option in professional situations, this allows flexible handling of recordings according to circumstances. A hairy windscreen is included that boasts professional level wind noise reduction.